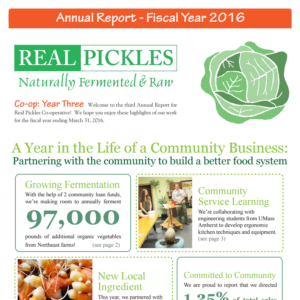 Our third Annual Report for Real Pickles Cooperative features highlights of our mission-related work for the fiscal year ending March 31, 2016. This year, we highlight our efforts to partner with our community to build a better food system. With assistance from two community loan funds, we grew our fermentation space to allow us to annually purchase 97,000 more pounds of regionally-grown organic vegetables! 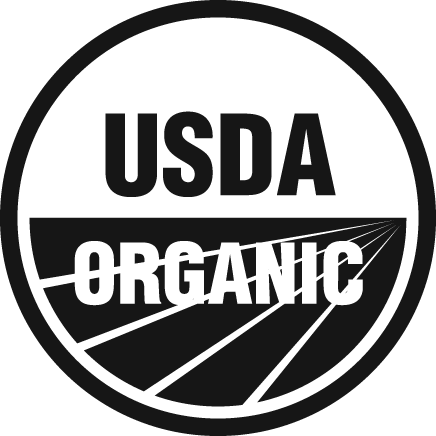 We partnered with Old Friends farm to bring you our newest product – Organic Turmeric Kraut. Yum. Plus we calculated how many pickle dollars were spent regionally to operate Real Pickles: 93% stayed in our community and supported our staff, our farmers, local vendors and mission-aligned organizations. 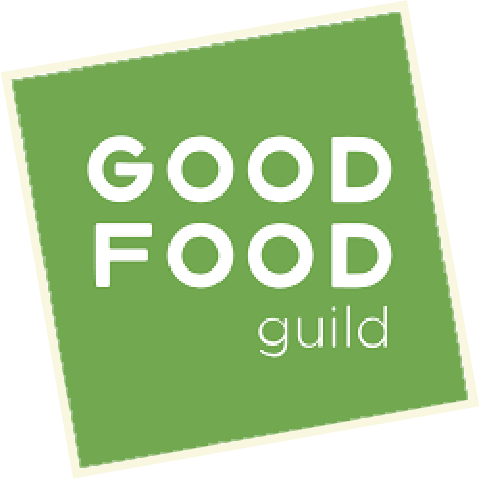 Read on to learn about Kitchen Garden Farm, our newest Good Food Award, and our work with a team of engineering students at UMass Amherst. Check it out.